Brushing with a Neem twig has its benefits if you know how to brush with it. I was under the mis-conception that our ancestors used to rub the hard Neem twigs on their teeth which can can cause more harm than benefit. But No, I have learnt from my Grand father, the correct procedure to brush using a Neem twig which is no less beneficial than a Tooth Brush. First select a proper Neem twig – It should not be too hard (old twigs) or too soft (new twigs), you should be able to bend the twig without breaking it. 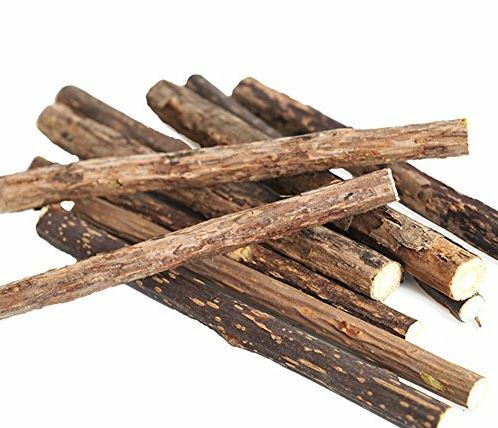 Now place one end of the twig in your mouth and start gently chewing on it – this extracts the beneficial juices (which can be swallowed) from the twig and it makes it soft and gives it a (Tooth Brush) Bristles like texture. After chewing on it for 5 minutes you can see and feel that the Neem twig is now soft and the tip now resembles the bristles of a tooth brush. Now using this you can rub it on your Teeth and gums gently as a make shift tooth Natural brush with the Anti bacterial benefits of Neem. Our Indian Ancestors are experts and have tremendous knowledge about each and every aspect, let it be traditions or such tricks there is always a meaning behind it. As a Dentist I personally would recommend brushing with Neem twigs once a week but in a proper way to have healthy teeth and gums. Brushing twice a day is of utmost importance and it should be followed irrespective of age.